Today I wrote about the 2019 sock club for The Knitting Goddess - you can read all about it here. This months sock design was inspired by Apricot Sorbet and the unfurling petals of a rose. 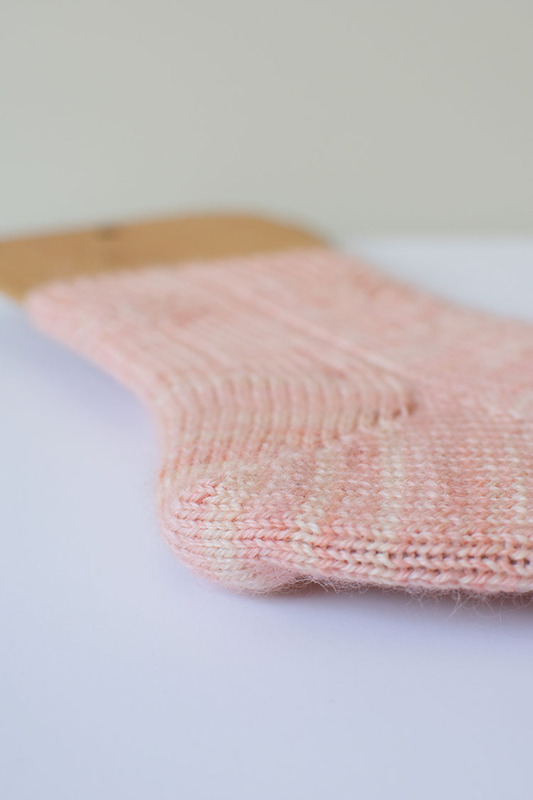 The toe up socks feature a broad rib pattern and a pretty lace cuff. 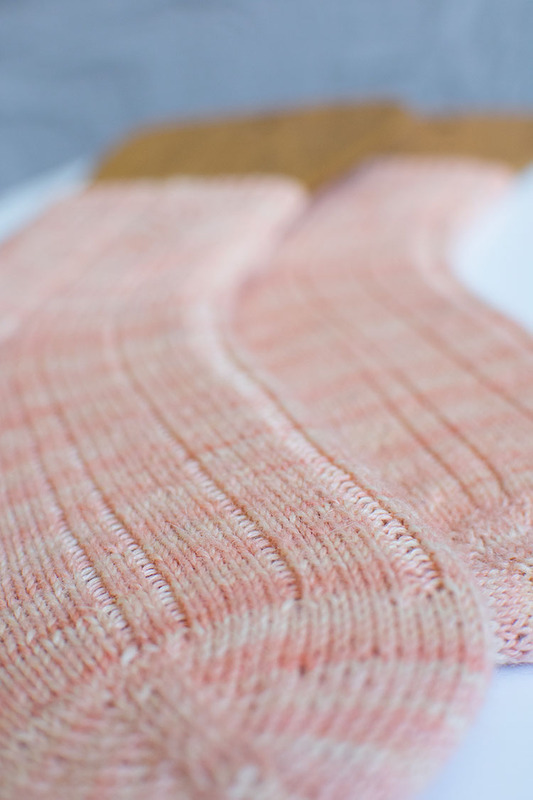 The heel is worked as a short-row heel, with a mini-heel flap modification in the sample shown, you can also knit these socks with a standard toe-up faux heel flap. Both heel styles are included in the pattern.